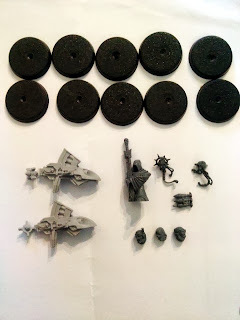 Right, when I was juggling three [or four] projects - Dark Angels, Inquisitorial Vault and the Tyranid Bastion I ordered some extra bits for my Unforgiven from www.modelbits.co.uk [they run a decent service, although I did need to chase up delivery] and all the bits below came. A couple of Forgeworld original Missile Launchers for my Devastator squad - I've 4 of these babies now. 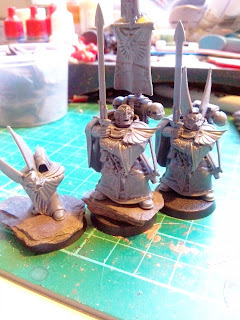 Some flat bases that I can put slate on so my original metal Devastators can stand a little taller given their lack of stature. Additionally some missiles, and servo-skulls just to add yet more character. And some replacement heads and a Watcher with Perfidious Relic because I have a plan. 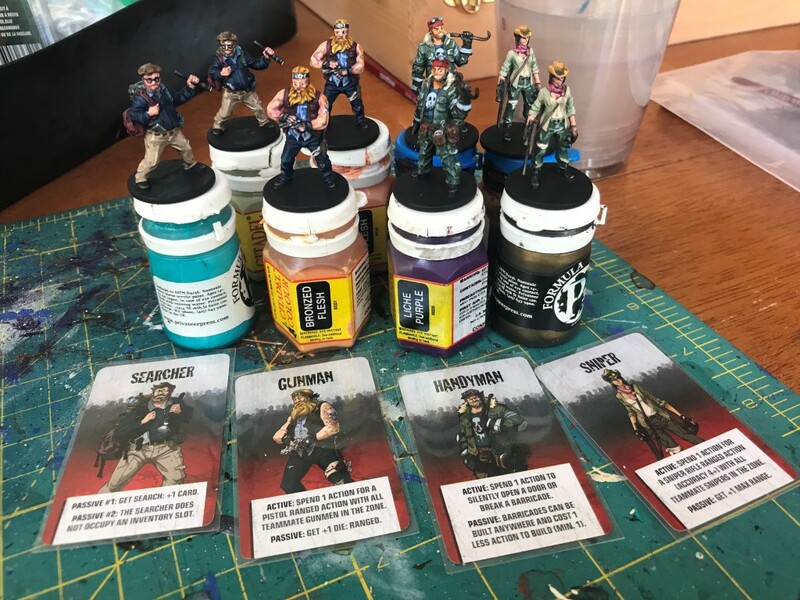 Back when Dark Vengeance came out I was able to purchase a second set of the Limited Edition box at a silly price from my local Independent Game Store. I managed to sell everything except the blast templates and the Dark Angel Chapter Master making a £20+ profit. Anyway, I didn't think much of the Master. I'm not a huge fan of his pose, it looks like a kendo stance - hasso-no-kamae but his feet, hands and arms are wrong. It's a small thing but when you've been telling beginners how to get it right for years it's painful to see a so-called master of all things 'martial' making noob errors. I mean seriously what's with that elbow sticking out and why is his left hand on top of his right? Another Ravenwing Command head, slightly more classical although I've not had much success painting bionic eyes. 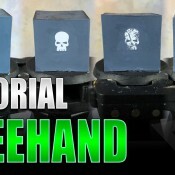 The classic Dark Angel Veteran Command head. I'm not a huge fan, the first two options are much better sculpts but as I say it's a classic and deserves a shot. 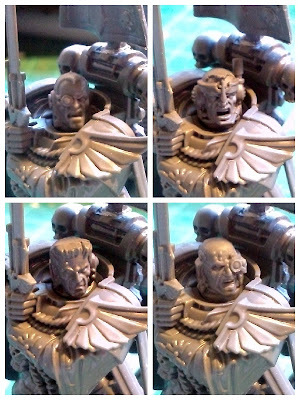 Lastly a generic Space Marine Command head - he's got four studs! 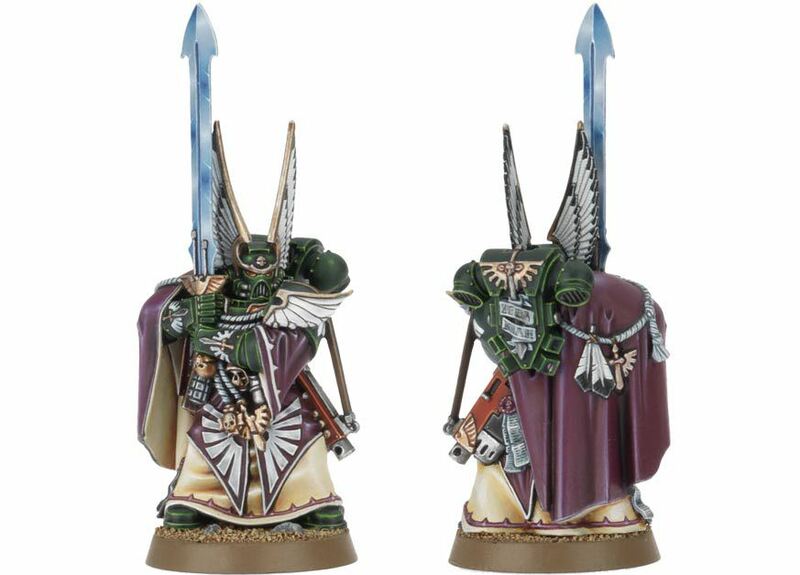 He's still cool and I'm not that bothered he doesn't have any Dark Angel motifs, I think there's enough on the model already but I'll leave the choice up to you guys. So which do you think I went for in the end? 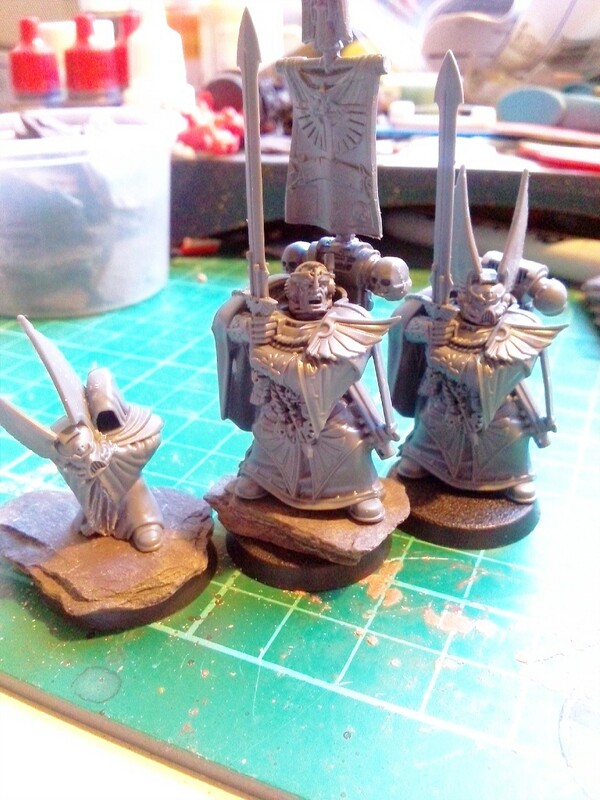 Well good question because it seemed obvious when I dry fit them but then I added a super back-pack from the Dark Angel Veteran upgrade sprue and a banner and having said I didn't need help at the beginning I may have reconsidered. Anyway I think I'm 75% convinced that option 1 above is the best option [top right in the picture below], but what do you think when you see it in context? Here's the 'preferred' choice, am I right? And this will be the base he's on - head and shoulders above a normal company Master and the Watcher, carrying the Lion Helm, is complete and will be on the 'biggest piece of slate ever' to emphasis his small stature and the base is unimportant as he never gets assaulted anyway! I dig it - I agree that the head you've chosen in the final pic is the way to go. 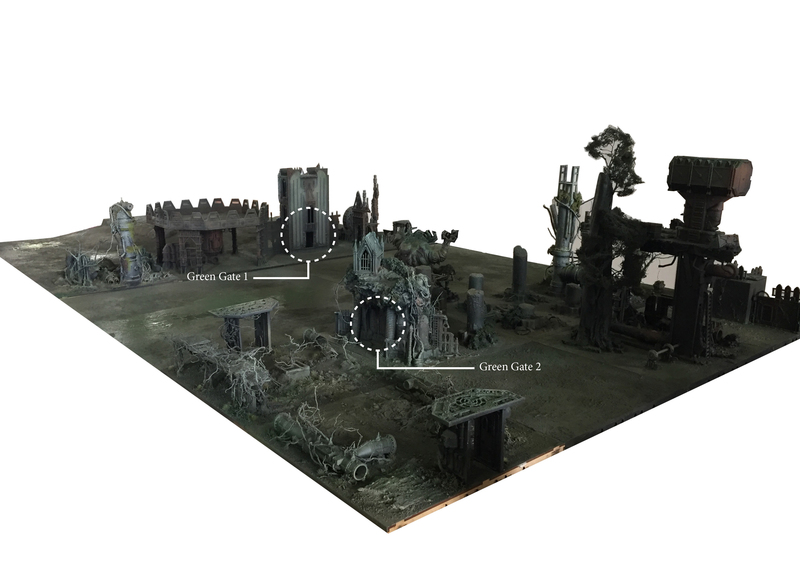 Awesome update to the watcher as well. Great ideas, man! Awesome kit bash, and, I totally agree about the Master's pose. 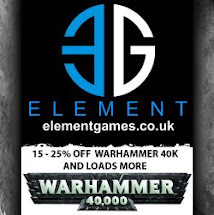 I really hope you write to GW and share your insight. I like the bionic DA head the most, though its pretty close, they all look pretty great on that body. I like the standard captain head the best. That dark angel head looks too much like a reject from the Herculoids. I like the custom watcher, but I think I prefer the official GW model, with the helmet perfectly errect. While it's normal to slouch, I would expect this particular model to treat his task with more reverence. It looks like the watcher is cuddling with the helmet. I kind of like it. 'nids part 97 - Tyranid Bastion growth pt18.